This ancient representation of the rainbow god Uenuku is one of the greatest taonga of the Tainui people. It is thought to date from about 1400, and is unlike all other known Māori carvings but resembles some Hawaiian traditional carvings. Uenuku was lost during a tribal battle around 1780 and rediscovered in 1906, buried on the shore of Lake Ngāroto, near Te Awamutu. The 2.7-metre-high carving was included in the acclaimed 1984 Te Maori exhibition. 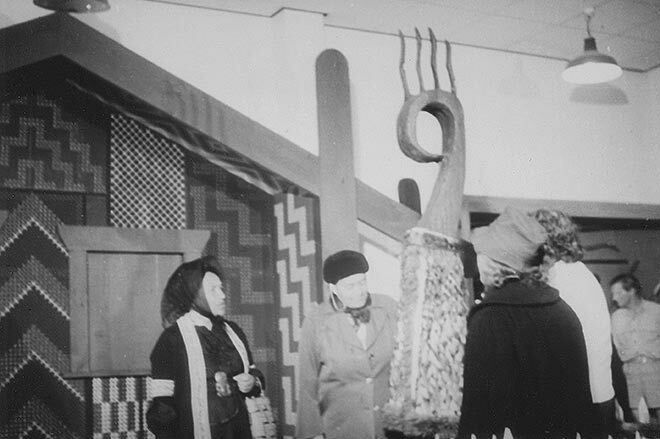 It is shown here, adorned with a feather cloak, in the Te Awamutu Museum in 1975.